A great example of a very early 19th C. schoolgirl sampler, recently purchased in Pennsylvania. 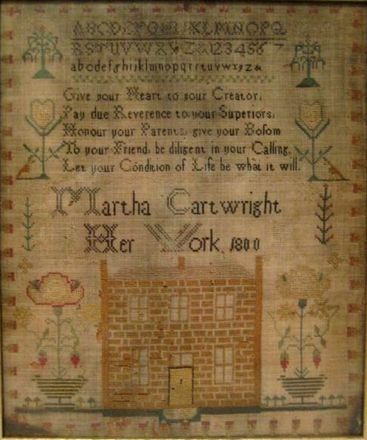 This sampler is signed Martha Cartwright and dated 1800. It is framed in a nice gilt frame, appears to be early, but I am not sure of the age.